April 13, 2016 Davis Partnership won 2 of the 6 Downtown Denver Partnership awards! No one should be without a home. 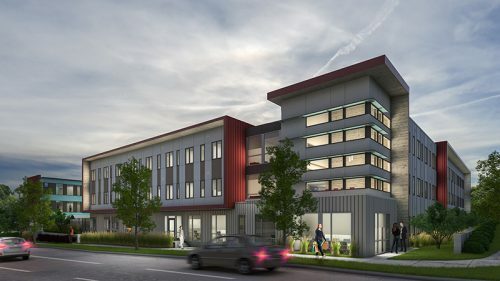 We are honored to work with the Mental Health Center of Denver designing the Sanderson Apartments. 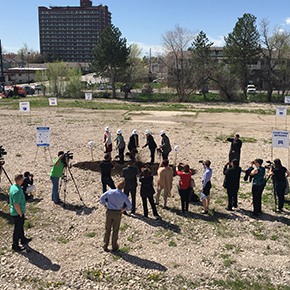 These 60, one-bedroom furnished apartments have broken ground and will soon be move-in ready for Denver’s homeless residents in the summer of 2017. On Monday, April 25th, we joined the MCHD team in the inaugural groundbreaking with Mayor B. Hancock. The Sanderson Apartments is the largest supportive housing project for the Mental Health Center of Denver. Our project page on Sanderson Apartments is here.